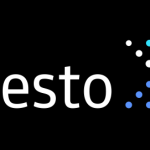 Welcome to the second issue of the Presto Newsletter, a monthly round up of news and events relevant to the Presto community. JD.com will present their use case for Presto + Alluxio combined. An Alluxio Meetup featuring similar use cases will be hosted in NYC right after the conference. Concurrency Labs shares benchmark results for a performance and cost comparison between Starburst Presto and EMR SQL engines. After Redshift/Spectrum, now we have a detailed comparison of Presto and SparkSQL. Caching mechanisms for HDFS and S3 data. Embracing separation of compute and storage with Presto & Apache Superset for analytics. Tired of running your Hadoop cluster or want to have a cloud-like on-premises environment? Try using Presto with an S3-compatible object store such as Minio or Redhat Ceph in your own data center. A full review and comparison between Presto and Impala for querying Hadoop. Connecting BI/reporting tools to Presto is very easy as detailed in this Presto to Looker blog post. Comparison of Spark, Impala, and Presto. The Presto performance results are pre-Cost Based Query Optimization in Presto, so take them with a grain of salt. On July 18th, Starburst CEO Justin Borgman sat down with Matt Aslett of 451 Research to discuss the separation of storage and compute and how this new data architecture has exploded in popularity with the mass migration to the public cloud. Treasure Data’s platform has been powered by Presto for years. Congrats to the team! With an updated Presto release we get some exciting cloud features such as AWS Glue Catalog support as well as Graceful Shutdown of Presto Workers when scaling down your cluster. Very soon your will be able to query data in Kudu with Presto. Thank you Martin Weindel! Check this post about turning a subquery with an unnest into a simple predicate. For reference, here are some docs on array and lambda functions in Presto.